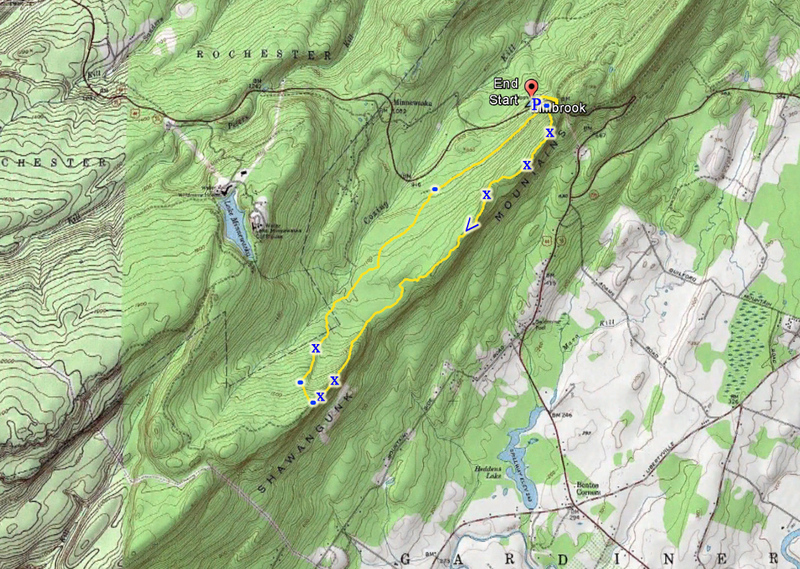 This is a highly memorable hike. 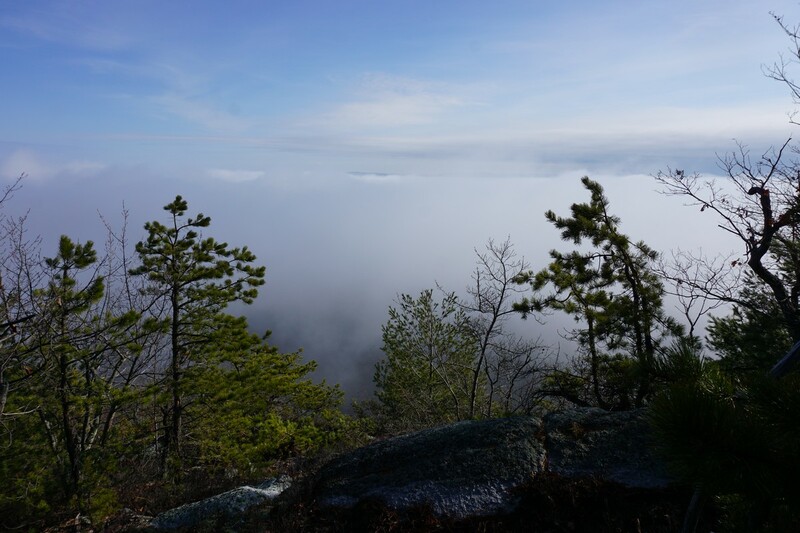 Rain had been predicted in the afternoon, but the morning featured a dense fog in the entire Hudson Valley. We had brought rain gear to combat the possibility of rain. When we started climbing the mountain on Route 44/55, at a certain point we reached above the fog level and into a beautiful sunny day! 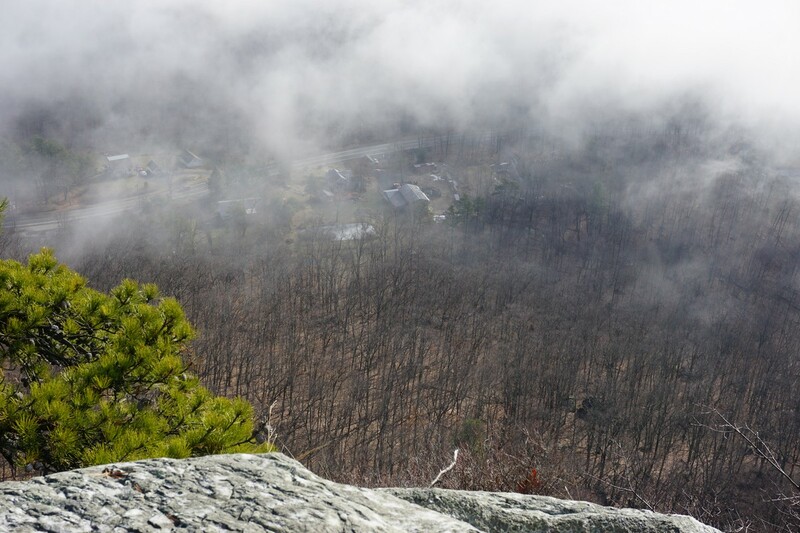 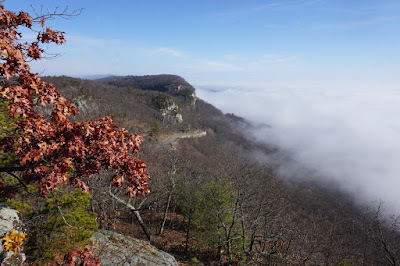 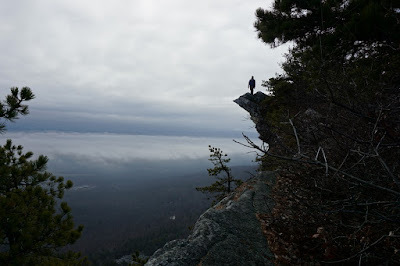 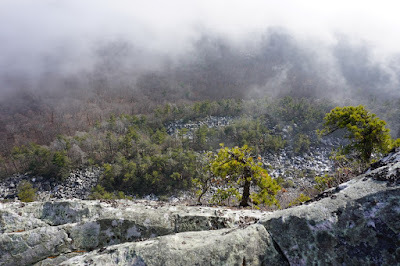 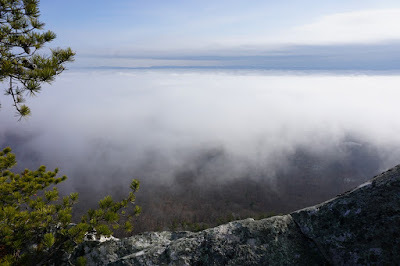 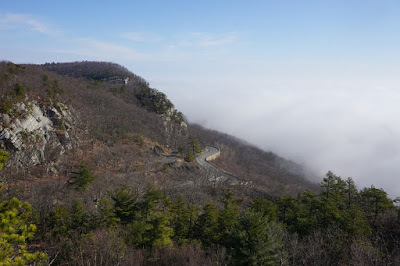 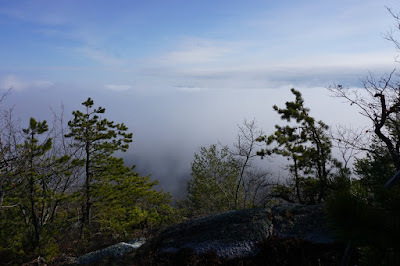 Since we were high up and at the cliff edge, we could see the cloud level from the ground-level fog directly below up! In the distance, the peaks remained in view above the cloud level. 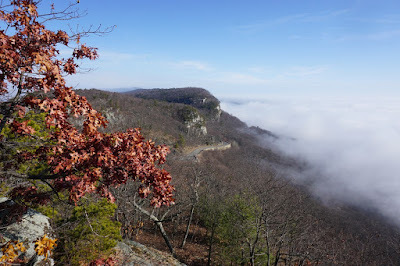 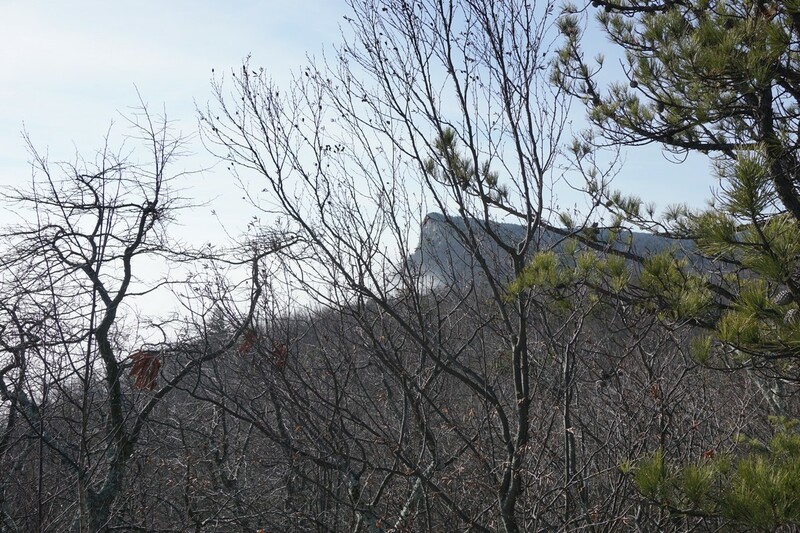 We parked at the West Trapps Trailhead in Mohonk Preserve, off of Route 44/55. 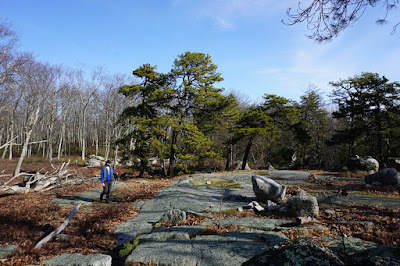 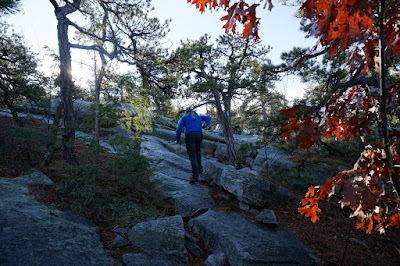 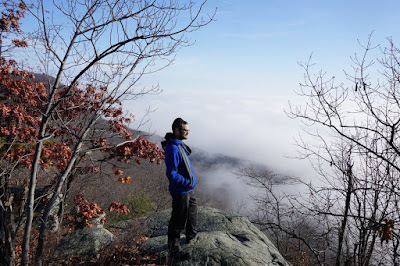 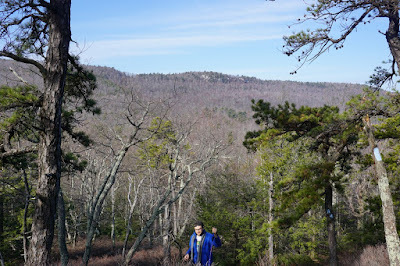 We took the very short West Trapps Connector Trail to the carriage road over the road, and then took the Millbrook Ridge Trail that starts here. 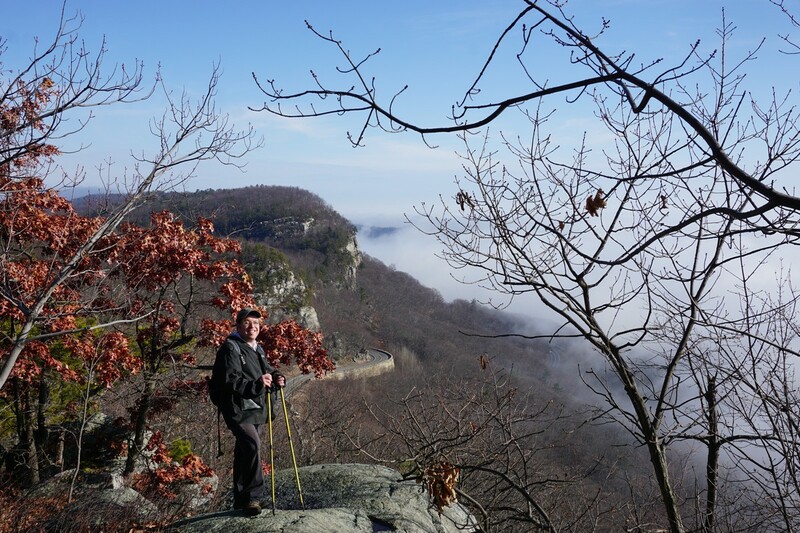 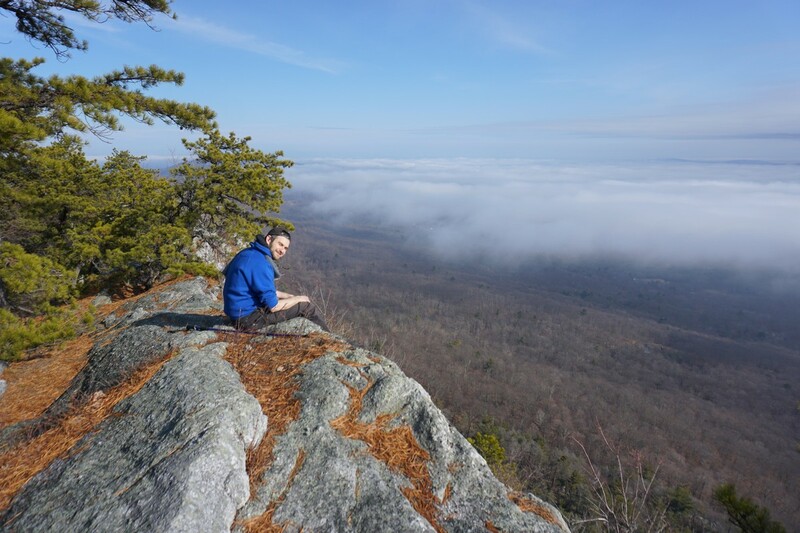 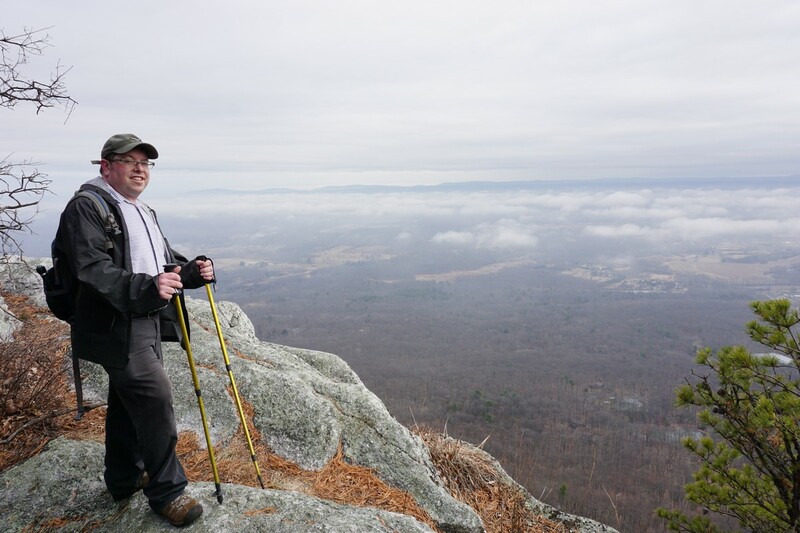 This trail climbs immediately over a short period on rocky white rock to a beautiful view on the ridgeline. 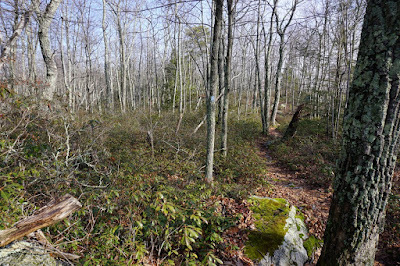 The trail then continues along the edge of the cliff line for a while, until it eventually starts climbing up to the final ascent to Millbrook Mountain. 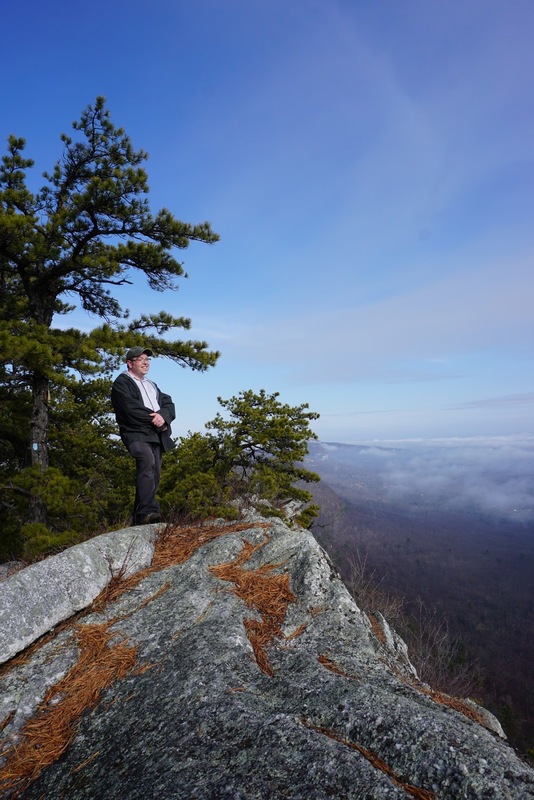 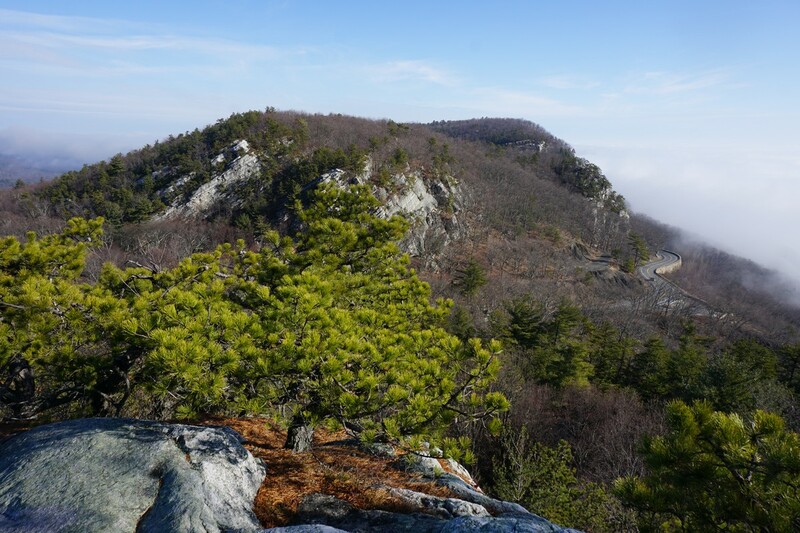 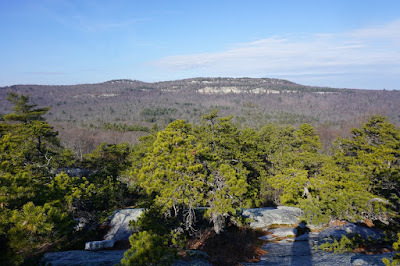 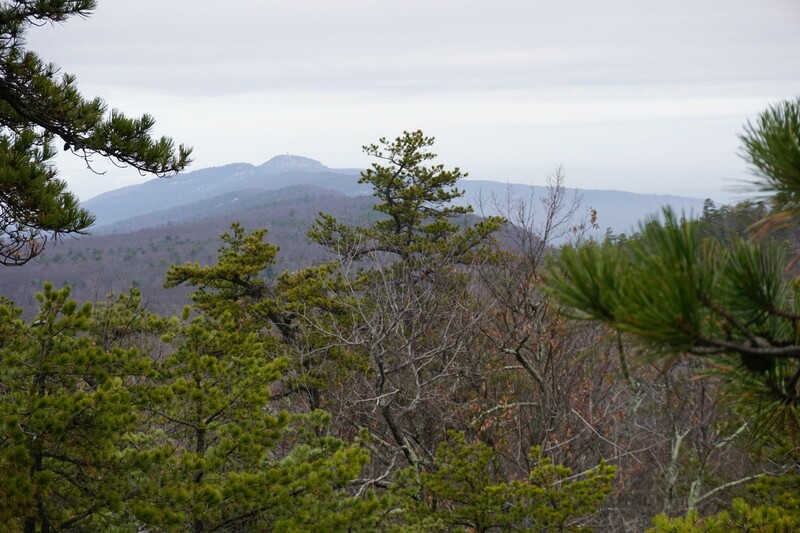 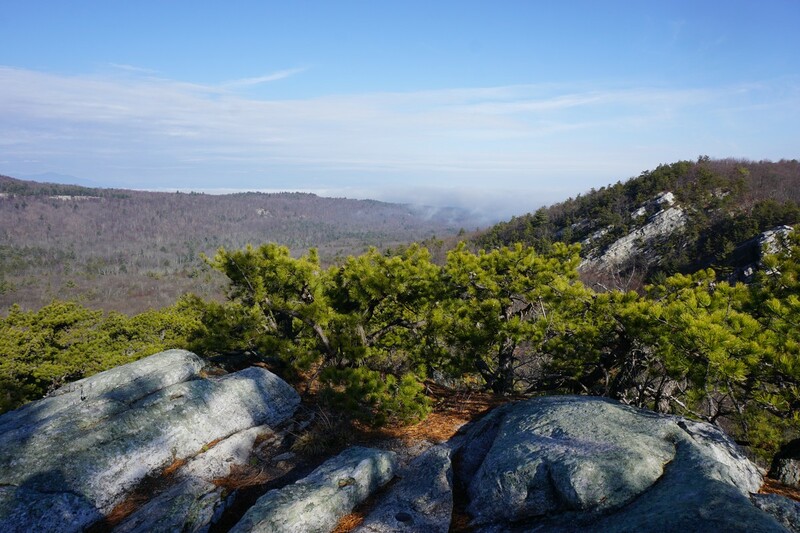 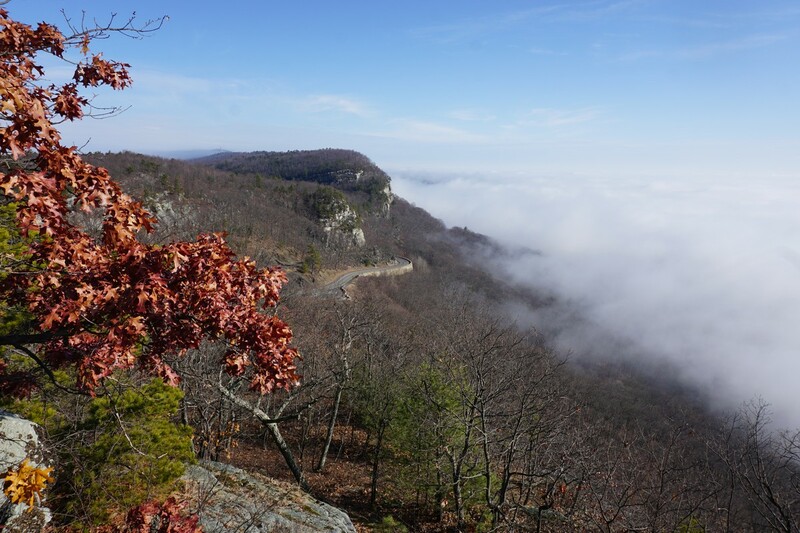 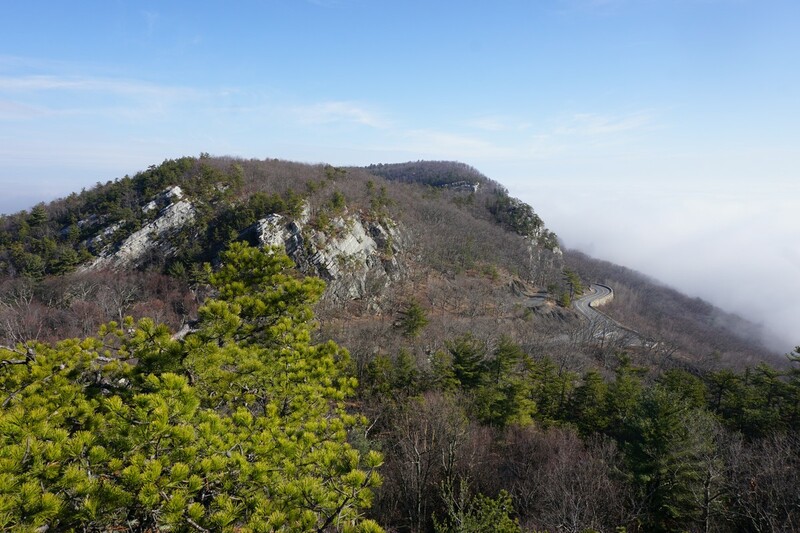 Millbrook Mountain is one of the most dramatic mountains in the Shawangunks. 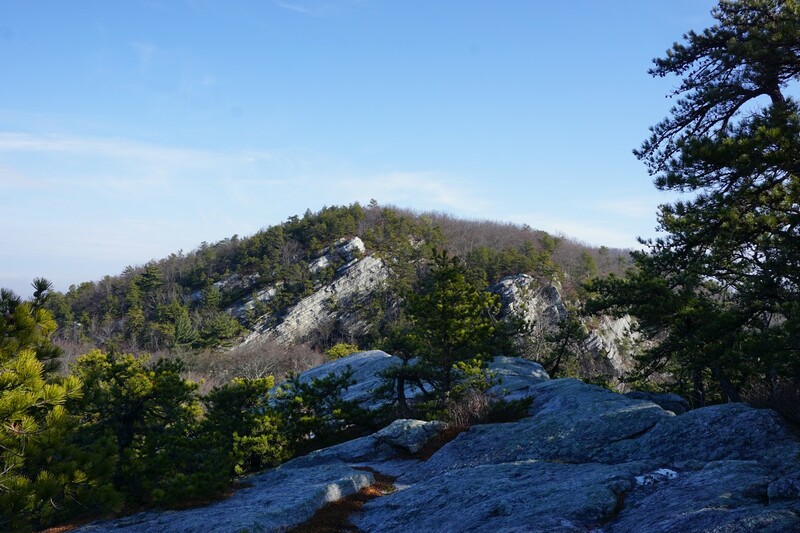 One side of the mountain is a vertical wall several hundred feet down to a boulder-strewn talus pile of huge rocks. 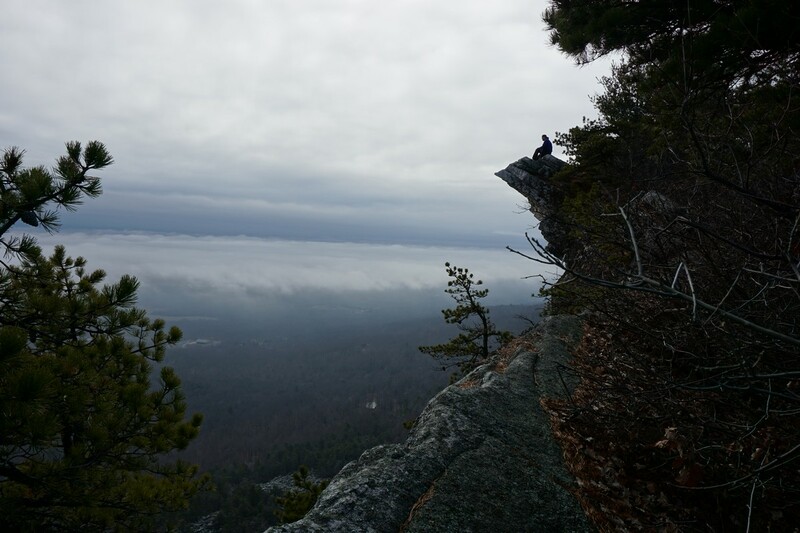 The views here are incredible. 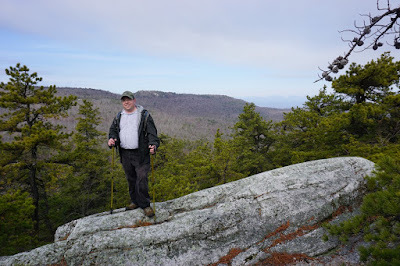 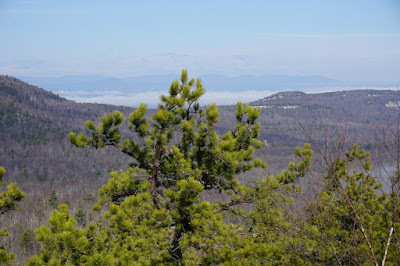 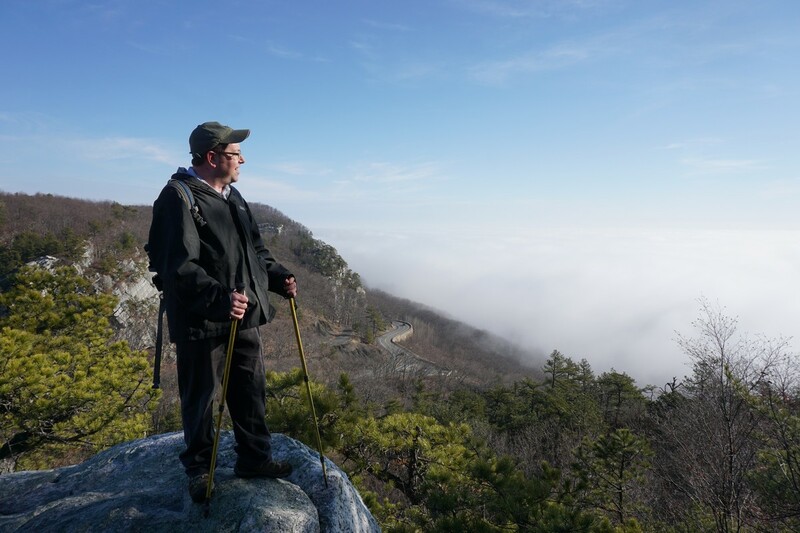 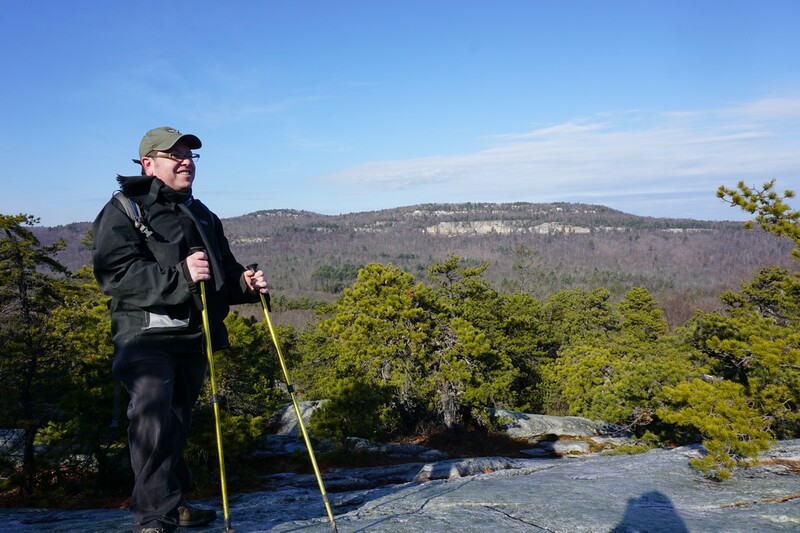 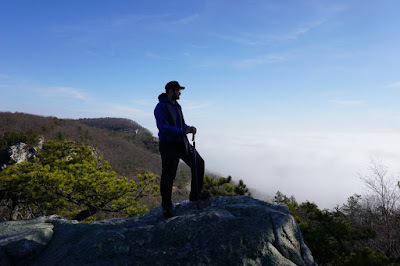 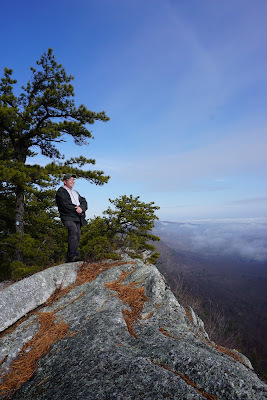 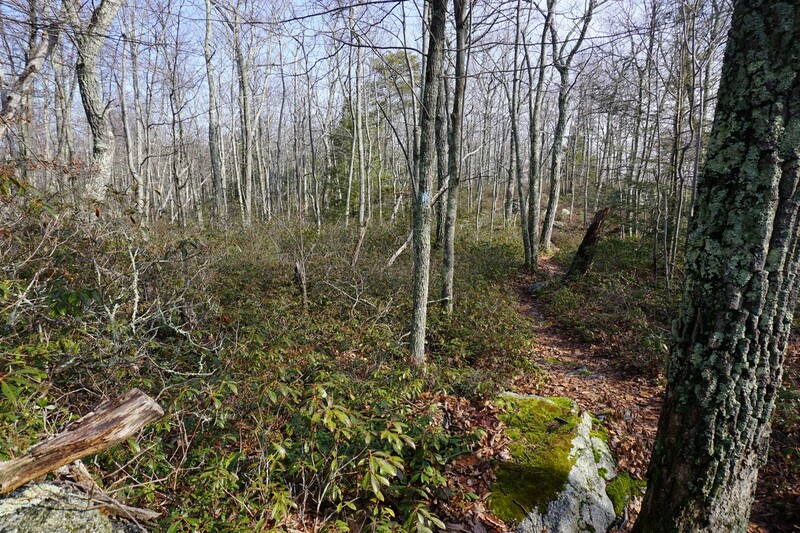 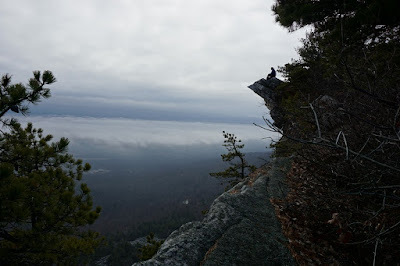 We took a short break at the summit of Millbrook, taking many pictures, and then headed back down via a loop on the Millbrook Mountain Trail to the Coxing Trail. We took the Coxing Trail back to the Trapps Carriage Road, which we took back to the Trapps Bridge to the trailhead.